A Reddit user who goes by the name TeamKhaleesi claims to have the detailed outline of Game of Thrones Season 7 finale. The Reddit user claimed that he was able to gather the information from the hacker who goes by the name Mr. Smith. HBO is going through the worst time from past few months. 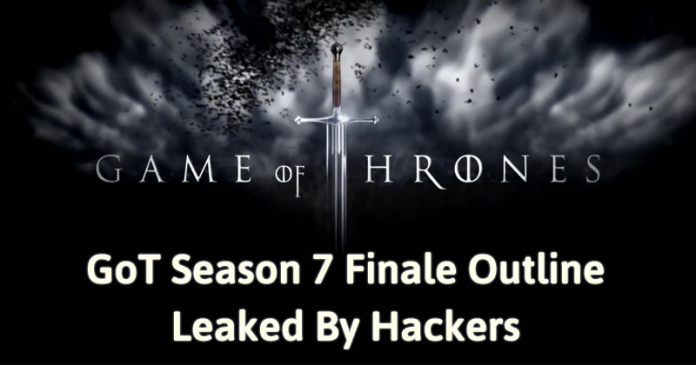 We have seen hackers have gained access to HBO networks and leaked the unreleased episodes of TV Shows. A few days ago, hackers have threatened to leak the upcoming Game Of Thrones Season 7 Episode 7 ahead of its official release date. The hacker goes by the name “Mr. Smith” has threatened HBO and asked them to “be ready for GOT SO7 E06 & E07 leak as soon as possible”. Now a Reddit user who goes by the name TeamKhaleesi claims to have the detailed outline of Game of Thrones Season 7 finale. The leaked documents are dated way back to April 26, 2016. So, there are higher chances that the actual script of the upcoming episode of Game of Thrones might differ a bit.